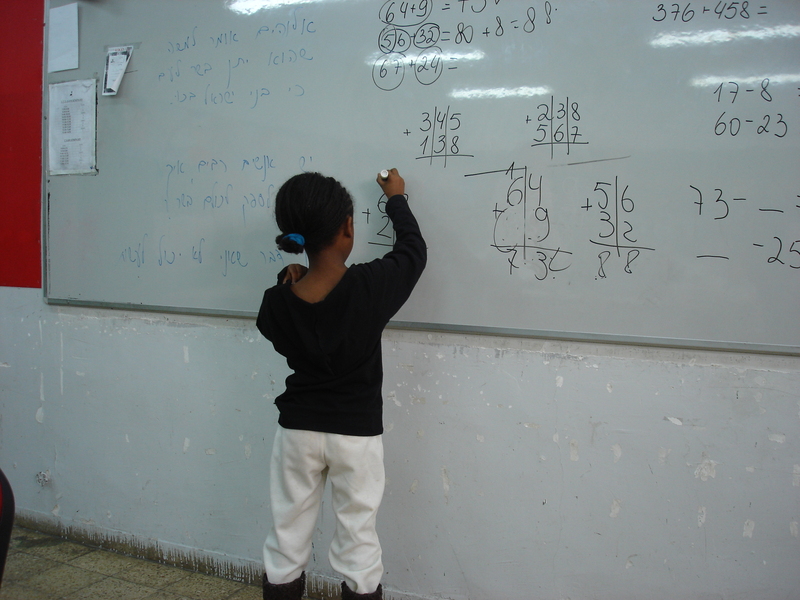 Irena teaches third grade in an elementary school in Jerusalem's "Katamon" neighborhood; a tough area with increasing unemployment. The community consists of native-born Israelis and immigrants from Ethiopia and the former Soviet Union. Some of these 8-year-olds have to go out to work after school. There are pupils who can barely read or write, and there are those who steal food from school in order to have some at home. In addition to dealing with the kids, Irena also deals with their families. Many of the parents can't speak Hebrew. Others have recently lost their jobs and there are those who regularly send their kids late to school simply because there's no reason for them to wake up in the morning. Irena, who immigrated from the former Soviet Union, also lives in the neighborhood where, as a single parent, she is raising her 8 year old son. Despite the many difficulties, Irena refuses to give up as she wages a Sisyphean battle against the daily hardships and desperation that plague her neighborhood. She is a gentle and sensitive teacher, but also assertive and feisty, determined to secure a proper education for the kids and to give them hope for a better future. "Teacher Irena" documents a full academic year with Irena and her class. It shows a very human, yet almost miraculous, teacher who encourages love, compassion and the power of positive action in a place where so many have already given up. The lives of 26 children changed during the year. They were lucky to find Irena.